Can something true but unbearable happen out of the sense of wonder? Is one addicted to the gaze that follows curiosity, however morbid? I kept thinking about this idea while reading Henri Cole’s new book of poems, Touch. What exactly constitutes wonder? Is it casual, ordered, instinctual? Is it considered wonder only when it ends in bright revelation? Many of Cole’s self-flagellating, mostly non-sonnet sonnets (14 lines, but otherwise in and out of a strict traditional form) all lean to the darker side of the bright revelation wonder might be. These are somber, autobiographical formal-like lyrics that encounter dread and occasional joy the way a jeweler enters a watch and they are – most of them – beautifully rendered as most of Cole’s poetry has been these last few years. He has, I think, become a master. 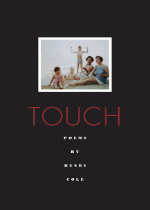 While the book is not as surprising as his previous book, Blackbird and Wolf (my choice for the best book of poems published in 2008), Touch is a quiet and powerful companion and continues in the autobiographical vein that has distinguished Cole’s last four books from the ones published at the beginning of his career. He has been coming out in these recent books: sexually, autobiographically and formally informally in terms of how he lets the poems hit the page: there’s more space between the lines and the poems stand as single stanzas resembling—but more, reassembling—the sonnet. Cole’s concern in much of this latest work has been going one-on-one with figures in an autobiography that feels transcribed partly from the dream world and partly from the actual world. 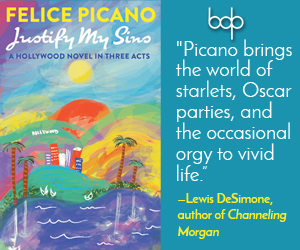 Every personal triumph involves seeing his people for what they’ve made themselves become as well as staring directly into his own pathos – not always the abyss, but not entirely lit at the edges, either. In a gesture that feels self-referential, Cole quotes from Auden in the frontispiece to the last section of the book: to be free/is often to be lonely. And so, Touch is about autobiographical loneliness but it is also about the loneliness of open spaces, and most notably and at times, surprisingly, the loneliness (or is this nobility?) of the animal world. 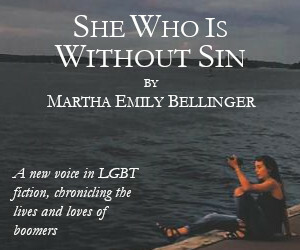 While the mother figure is here and the lover (drug addled and narcissistic in the wrenching poems that make up the last section of the book) is also here, the book has many animals observed in acts of change, breaking free. The loneliness of being free is proximate to something wild. In the corridor of green unnatural lights/recalling the lunatic asylum, how can I/defend myself against what I want? I’ve been reading the poems of Henri Cole for a long time and love the way they have enlarged and grown more intimate from book to book. Blackbird and Wolf dealt in many ways with the bigger world and these newer poems deal with a much smaller world: easier to hold but more slippery. At moments, life itself is almost more powerful observed than it is actively encountered. In one poem, he says: The horses were so beautiful but the people/ugly. Why is that? Both seemed perfectly alive. By observing life, I don’t mean to imply the poems are static (every great poet sees living as much as she feels alive), but they are not ecstatic poems, either. They have, in the end (with the delicacy of a compass needle), stopped at somewhere between ecstasy and dread – where, as it happens, much of living is.